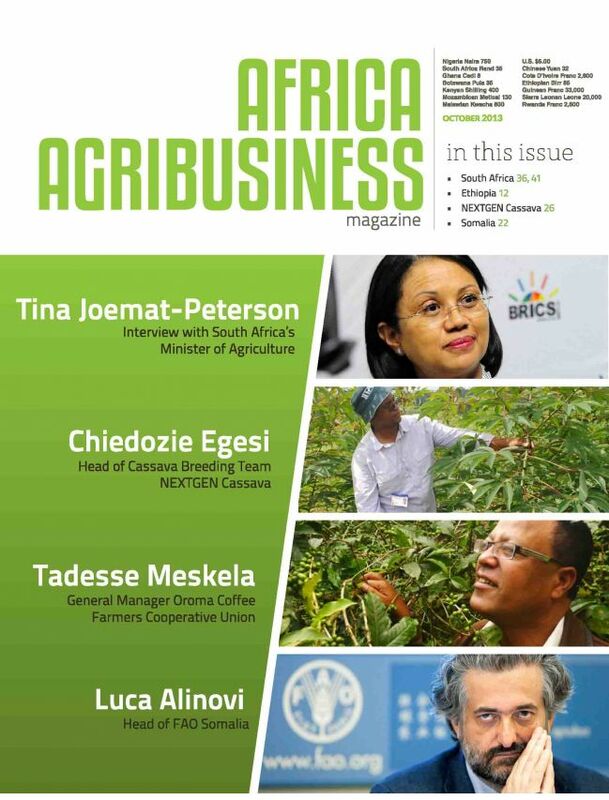 Africa Agribusiness Magazine exists in order to connect Africa’s agricultural sector to the rest of the world. By doing so, we hope to act as a catalyst to the development of Africa’s agricultural sector. We will inform and connect African farmers, businesspersons, and governments with modern technologies, practices, ideas, and materials (increase Africa’s human capital). We hope that this will help African nations develop independent and vibrant agricultural sectors which will lead to decreases in malnutrition and general increases in health and well-being for the continent.